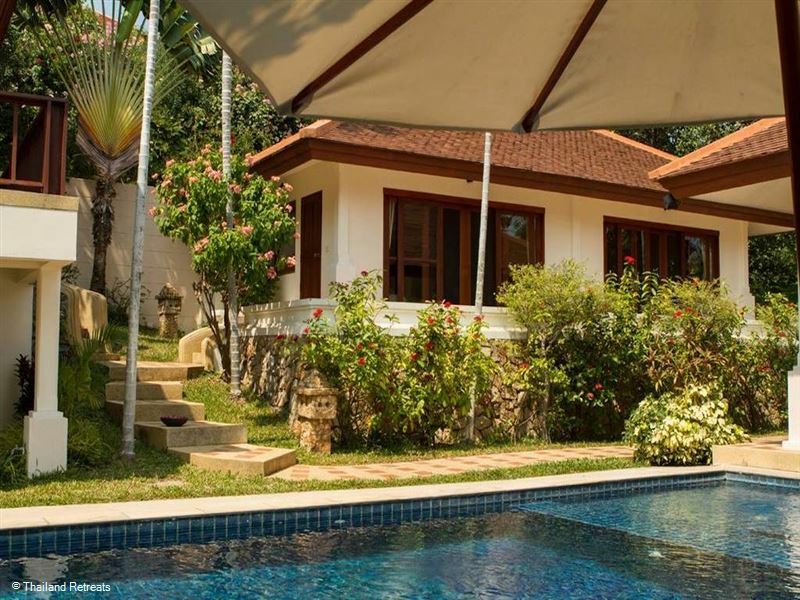 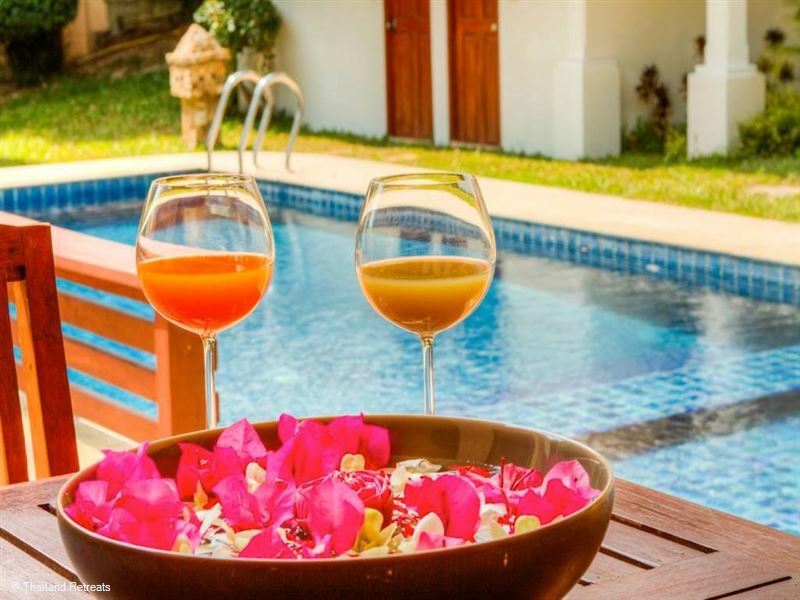 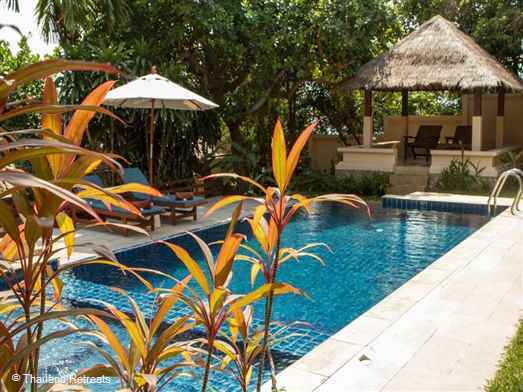 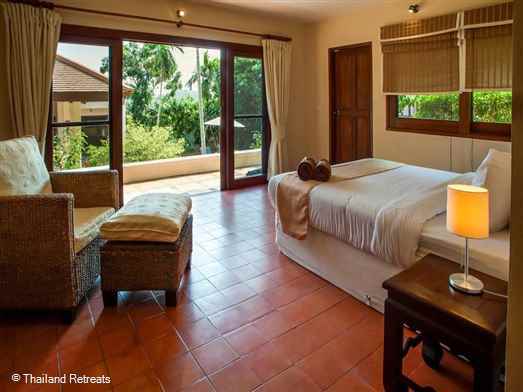 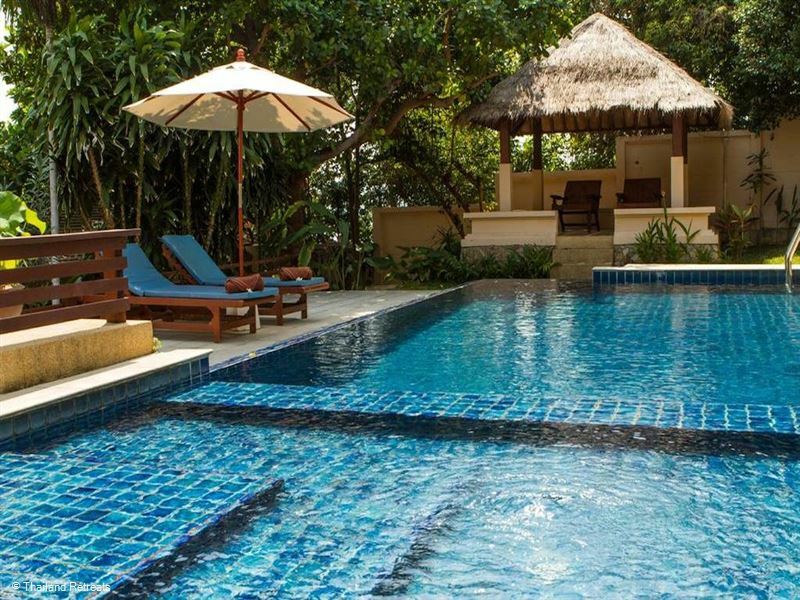 Villa Sapparos is a 4 bedroom Koh Samui family villa located within a small private estate just 15 minutes stroll to the family friendly Choeng Mon Beach. 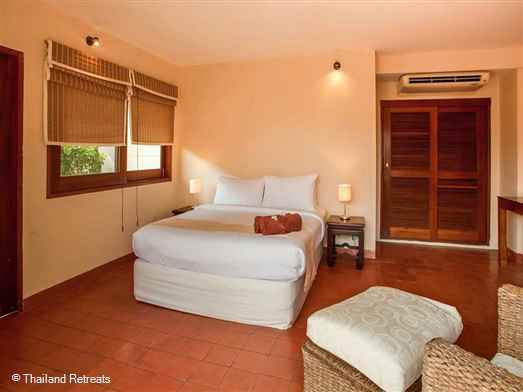 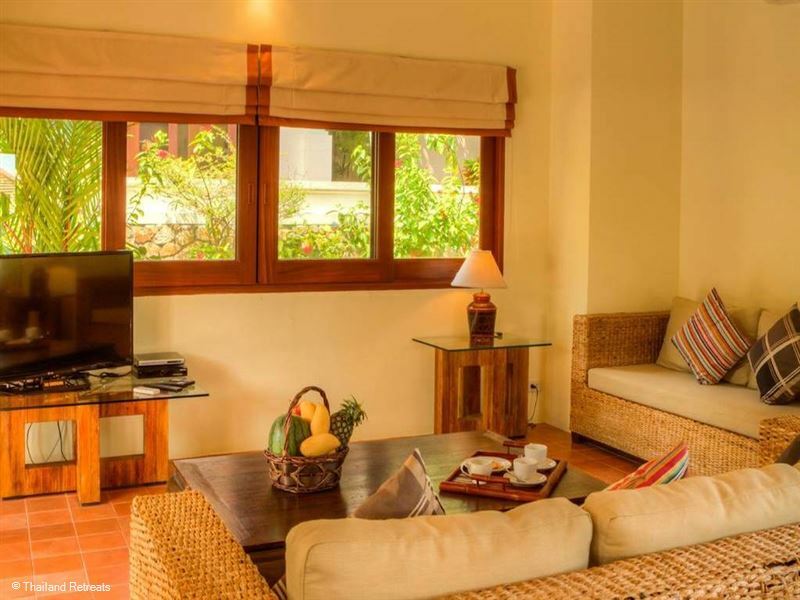 A short drive to both Fisherman's Village and the main town of Chaweng rates are offered for both 2 & 3 bedroom occupancy. 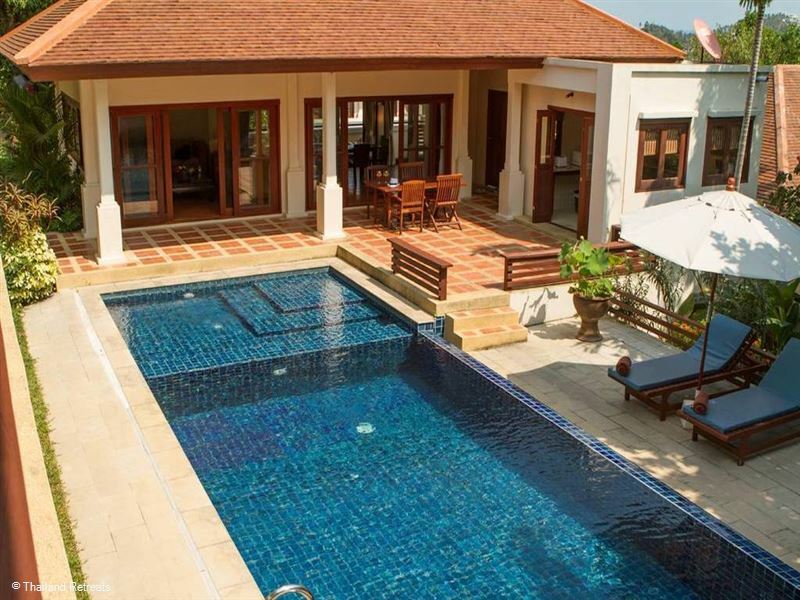 Located in Samui Summit Estate, within easy reach to Choeng Moen beach (15 min stroll) in the sought-after north-eastern part of Samui, Villa Sapparos offers privacy and luxury in a first class secure family-friendly haven. The living and dining areas are right next to the separate fully equipped fitted kitchen. The large covered terrace has an outside dining table for al fresco dining right by the shallow end of the swimming pool making it ideal for the small ones to play safely whilst the adults eat and relax. 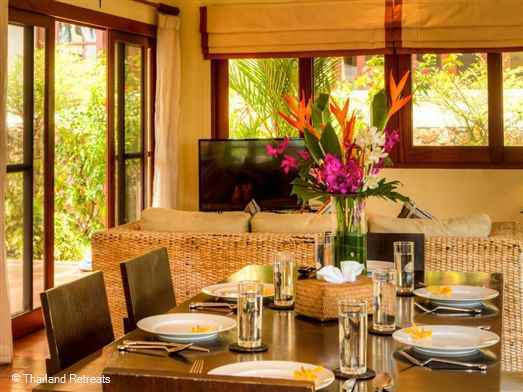 It is also ideal for evening meals on Samui's tropical balmy evenings. 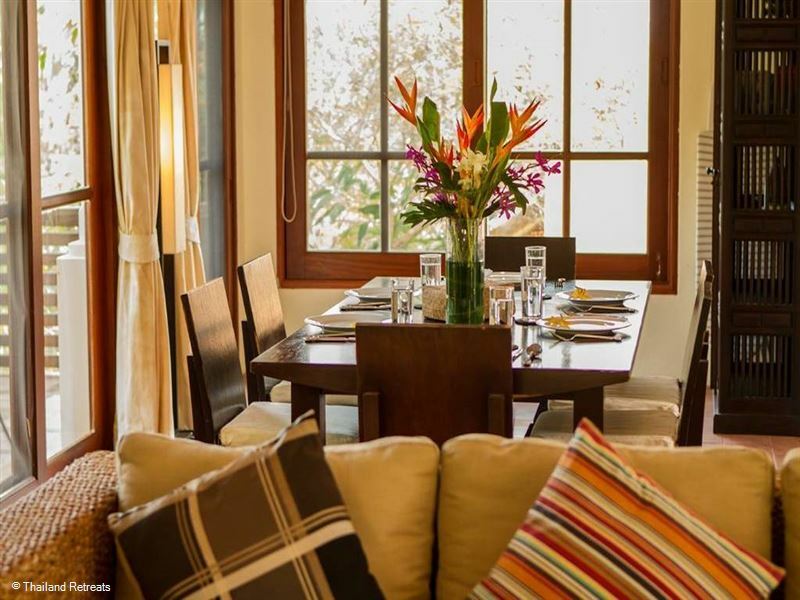 If you don't fancy cooking, a personal chef is available at an additional charge. 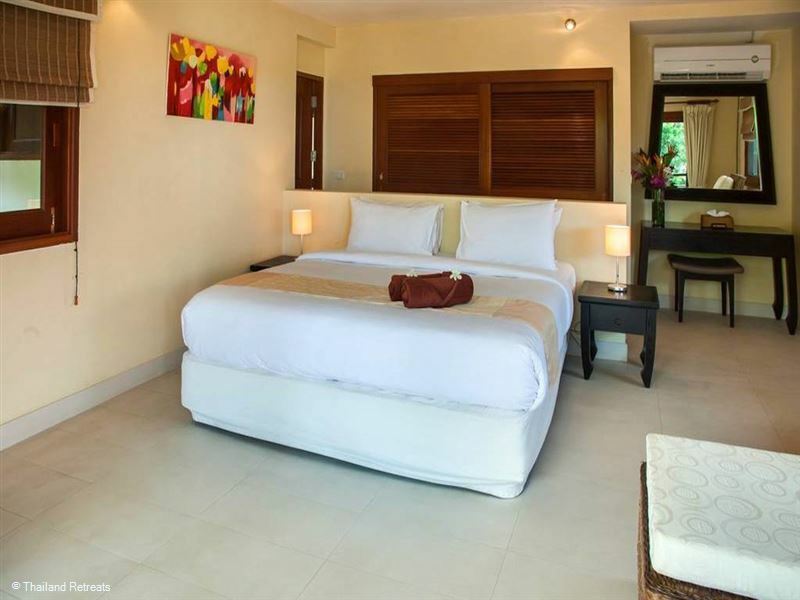 The queen and twin bedroom have interconnecting doors, ideal for families with young children, who want peace of mind as well as their own privacy. 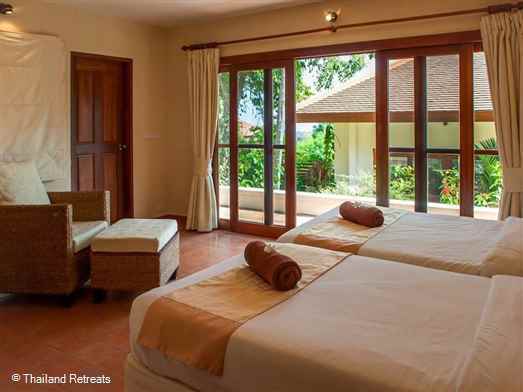 The doors can be locked, to ensure complete privacy to guests in either room who do not need this facility. 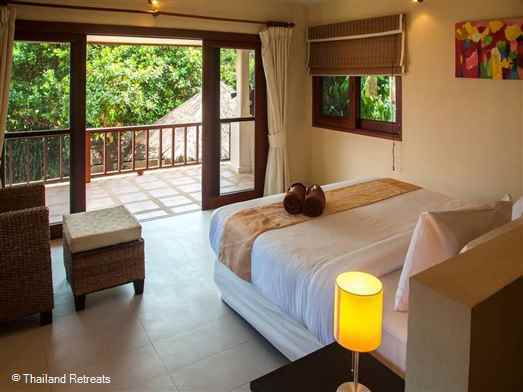 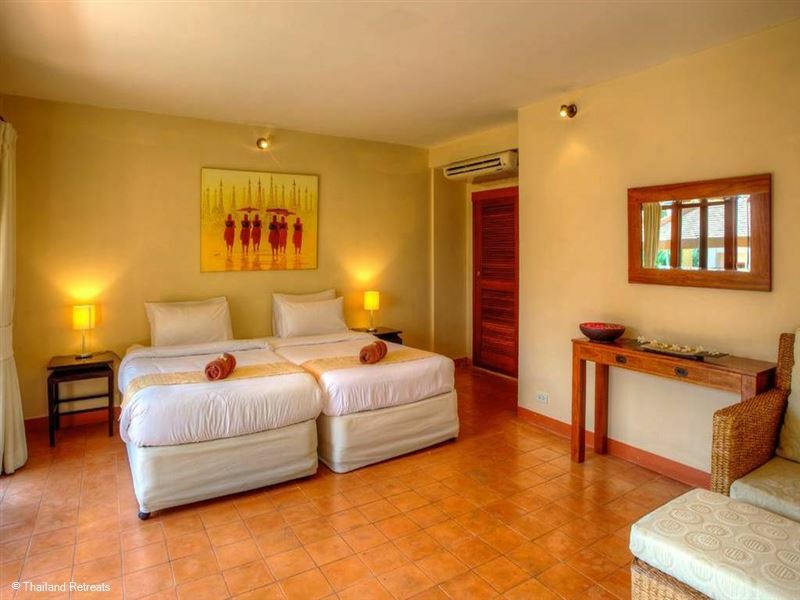 The fourth bedroom is self-contained whilst being an integral part of the villa. 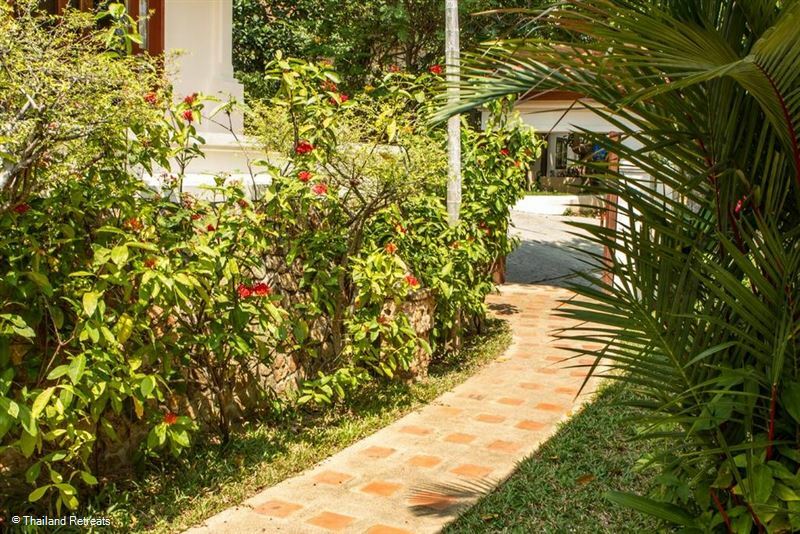 It has its own front door (at the front of the villa) and a rear door that leads into the villa itself straight to the garden and swimming pool deck. It has a fridge, tea and coffee facilities and space for additional beds or cots. This room is great for families with teenagers or grandparents who want their own space whilst still being part of the group. 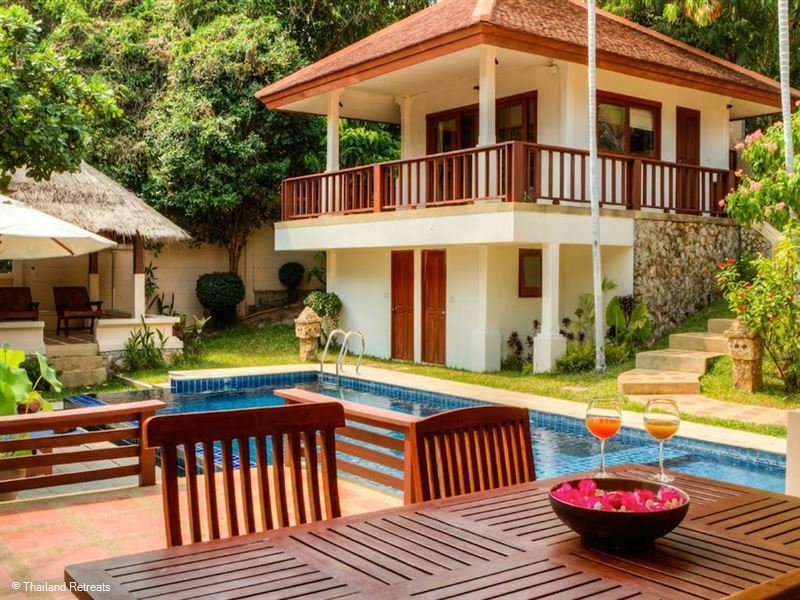 Should you want to venture out, beautiful Choeng Mon Beach is only a short walk away, and the Estate is only a 10 minute drive from the airport. 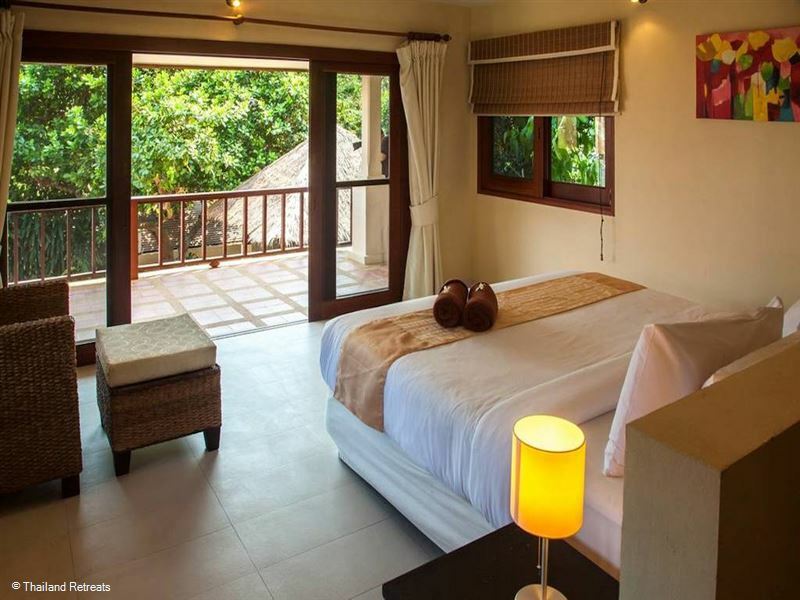 It is also a similar distance from picturesque Fisherman's Village with its various restaurants and bustling area of Chaweng Beach with its famous night life is the same distance in the other direction. 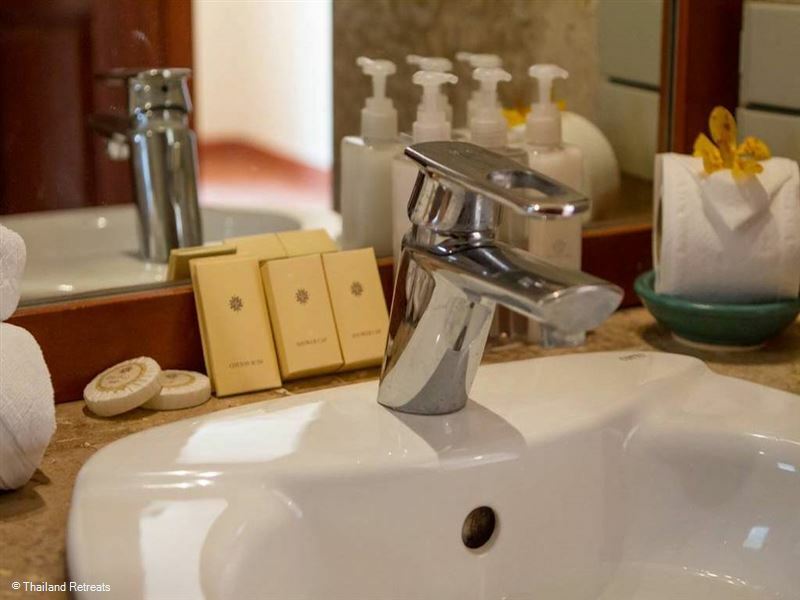 Villa Sapparos is serviced daily by our team of maids and can, on request, provide private catering, in villa massage services and an array of other services to our guests.Villa Sapparos has covered parking for two cars. 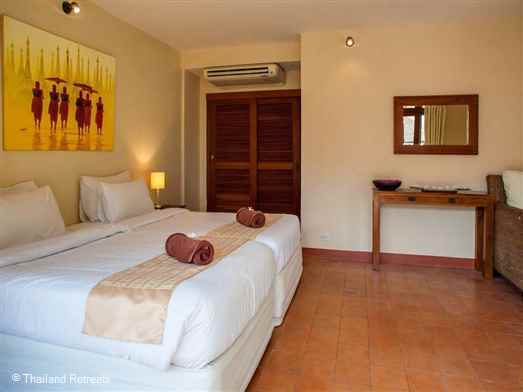 Bedroom 4 is spacious & has a fridge & tea and coffee facilities.